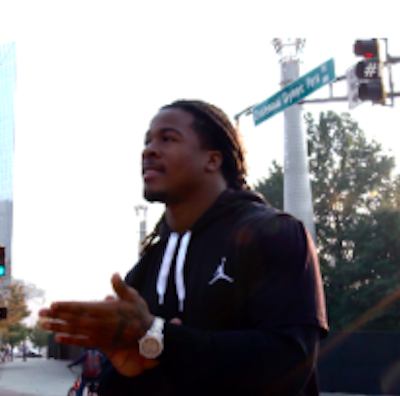 “They show me nothing but love,” Devonta Freeman, Atlanta Falcons running back, said of the citizens of Atlanta. We met up with him to film a segment for our friends at Bleacher Report. Bleacher wanted to highlight Cleat Week, where football players wear special cleats to support and raise money for a cause of their choice. What’s Freeman’s cause of choice? Children. 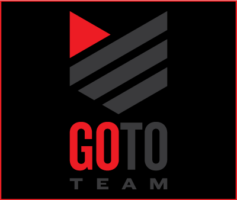 He’s developed the Devonta Freeman Foundation that helps and raises money for children. 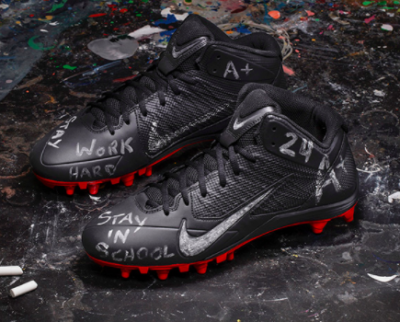 Nike worked with his foundation to design a special pair of cleats. They look awesome! 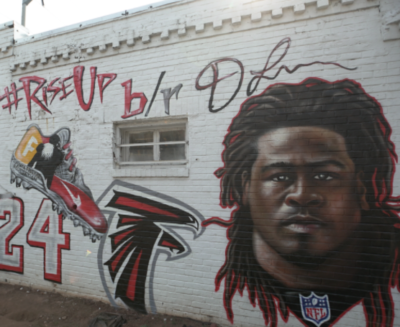 A graffiti-style mural was created for Freeman in Atlanta, we shot a time lapse of that going up. “From the moment I was drafted, Atlanta has adopted me as their own,” said Devonta, and it really shows! We walked around the city with him while he was being interviewed. It’s always fun working with Bleacher Report!